I decided to follow suit from my post in Magiverse (Books I want to re-read). Only It's not going to be shows I want to re-watch but 'Shows I'm fllowing'. It's easier and quicker to list the shows I'm following then my favorite books. Listing my favorite books would take... Oh, probably forever. Emma has come a long way, hasn't she? Season 4 finale gave me a huge shock. This season is going to be... interesting. Yeah... sorry, I'm using some vague descriptions here. In any case, Once Upon A Time is one of the best shows I've watched (and still watching). It's all the fairy tales you ever heard of (and even some you didn't) mushed up together and twisted. True love, Good and Evil, Villains and Heroes... It's all there. Just... darker. More interesting that way, don't you think? I love almost everything of Marvel and I love this show but lately... well, lately things haven't been going that very well on the show. They made some bad decisions and even though the action is still good, what's going on there overall is... well, I don't know where the show is headed but if it keeps at it, I might lose interest. Season 1 was the best in the show. I loved that season. Season 2 was also good (If frustrating for certain things). It's actually season 3 that started to make me doubt it. But anyway, It's a science fiction and fantasy and superheroes and super-villains and Hydra and Shield... if, like me, you love all that stuff... You should watch it. Because other than my disappointment of the show on late, It's a good show. The show is loosely based on the real Walter O'Brien but other than the fact that TV show Walter O'Brien and the real Walter O'Brien have the same name and are both geniuses, I don't see any other real base on the real Walter's life. I may be wrong but this is my take on things. I'm actually glad it's the case. The reason I was hesitant to start it was because I'm not a fun of documentary or shows\books based on something real that actually happened to someone. I think it's because there is way too much reality in real life and when I watch a show\read a book, I don't want reality seeping into it as well. 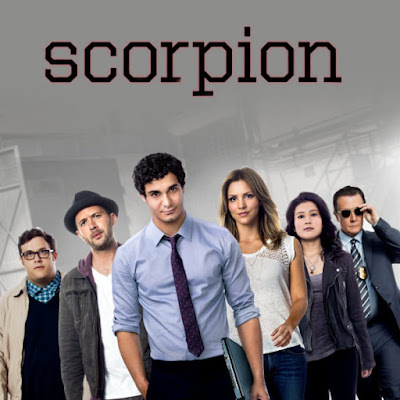 In any case, this show is surprisingly good. I always enjoy watching a new episode every week. 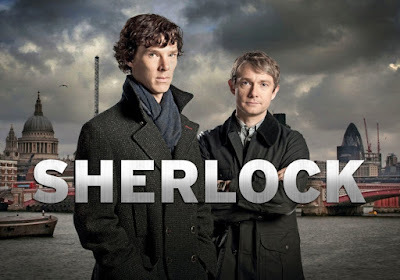 It's fun and I always had a thing for the genius aspect in shows (doctor who, Sherlock) and books. It's the kind of show that keeps getting better and better. Season 2 is even better than season 1. 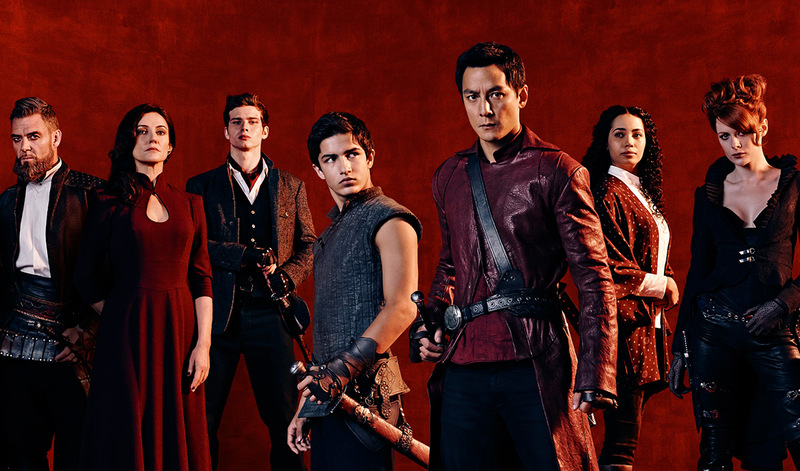 And the show has already been renewed for a season 3. 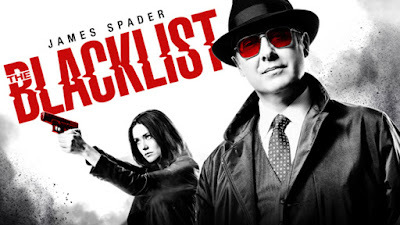 If you love action, Mystery, a fun mastermind criminal, Romance here and there, intrigue and some good times... You should really give this show a go. I just have to say... does anyone else feel the best times of the show were the whole going rouge and blond-haired Liz? I loved every minute of it (!). I felt like it was the best time for Liz and Red. Lucifer is just so... Hilarious. It's just a cool and fantastic show. And Lucifer... well. Let's just say It's worth watching just for him. He's such a fun character! I can't say much more about this show because it's rather new, but I just know I'm going to love it (who am I kidding? I'm already loving it). Fantasy, demons, angels, god, Lucifer and a seemingly regular detective (seemingly. I have that feeling she's more than she seems). It's too early to know about a renewal but I'm already wanting a season 2 (!). 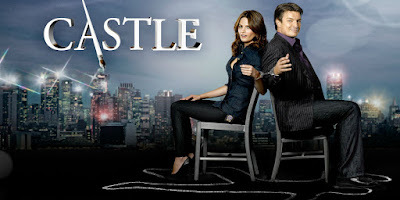 Castle is so funny, the romance between him and Beckett is frustrating and you want sometimes (actually, most of the times) to make Beckett see sense (or choke her until she does), but at the same time you can't help but root for them and ship them. And it's totally worth it. What I love about this show is that even though each episode is another mystery, another murder, there is always a bigger picture hanging above them in every season. One more thing I love about this show: Every season there are those 'uniqe' episodes I adore. It wasn't to me. I actually didn't want it to end. 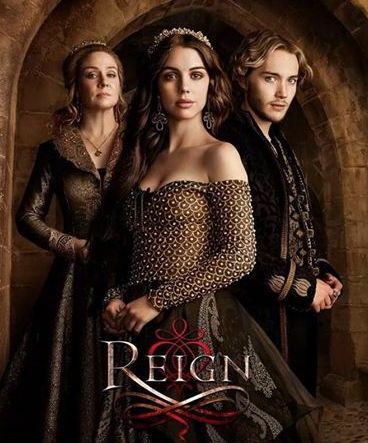 I wrote a review of seasons 1 & 2 & 3 (first 10 episodes) of reign but there was no 'spoiler free' section in the review so I'll do it now. Reign is a historical fiction\drama\romance\court poilitics\the occasional fantasy aspect show. As Mary said: "Politics, backstabbing, murder. Another day in French court." Yet there is something about it that makes you keep watching... the mystery, perhaps? I always enjoyed a good mystery and this show is full of it. Lies, betrayal, murder, more lies, more murder, more betrayal. Oh, and some romance that somehow finds it's way through the murder, lies and betrayals. It's dark and it's twisted. I can't say it's a favourite show of mine but I'm constantly intrigued by it. 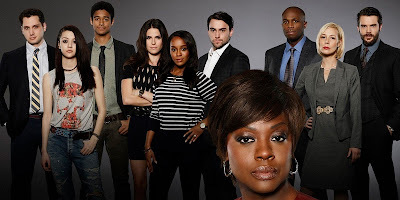 So if any of it appeals to you, or you're just looking for something interesting to watch... see what you think about HTGAWM. 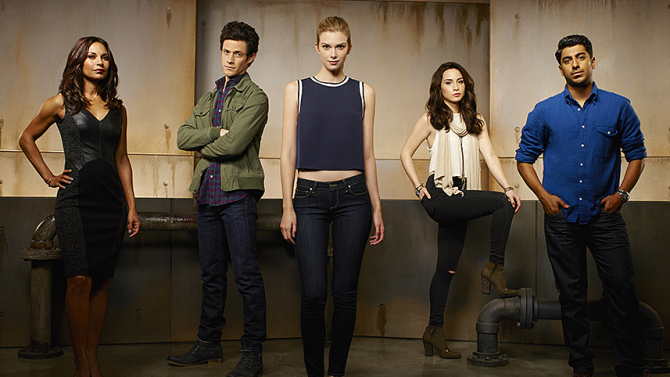 Stitchers follows a university student named Kirsten who suffers from a fictional condition called temporal dysplasia, which means she cannot sense the passing of time. It make her look unemotional and uncaring. Because of her condition she's recruited for a government program in which she basically 'stitches' into a dead person's brain and can see his memories, his life and thus solve the crime of how he\she has been killed. sounds weird, I know, but it's a very good show. Kirsten condition is so intriguing and being someone who doesn't understand social situations, we see some funny times as well. Season 2 has started airing. There isn't information yet about a season 3. Out of all the aspects of fantasy\science fiction I think I've watched\read about Zombies the less. I watched the movie World War Z (great movie, by the way) and... well, that's all I can recall. I was never drawn to the Zombie thing. It was too... I don't know, disgusting? horror-like? not appealing? I tried to watch the walking dead but sorry, couldn't get further away after what I saw in the first episode. I'm not a squeamish person but even I have my limits, and people who eat brains and other body parts? that's my limit. Izombie though... I like where they took the whole 'zombie' thing. It's not the rotten flesh, no conscious, makes grunting noises, hands reached out kind of zombie (not as long as they eat brains, anyway). Do they eat brains? yes. You can't get passed that. If they don't eat brains then they are not zombies, now are they? But other than that the Izombie zombies are not like we see in the other movies\shows. Aside from looking really pale (both in hair color and skin color) and eating brains, they are perfectly funcional. They can even easily blend in with the community if they wish to. I love the comic aspect in this show - it's really cool. The flash... well, not much to say about that. I basically enjoy almost every super-hero show\movie. They are always fun to watch. Even if they are not amazing (though some of them are amazing), they are fun. Okay, I just have to say: both the flash and Arrow has that thing about 'protecting their city'. sorry, but I just don't get it. I get protecting the people you love, I get fighting evil and protecting the innocent... those are the kind of things I love and admire. But protecting their city? when they say 'I'll protect my city' I just... sorry, nope, I don't feel it. I get that they actually want to protect the people who live in the city but when they say 'protect my city' I just can't relate to it. 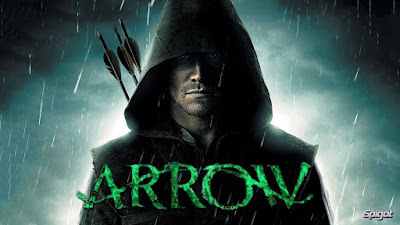 Arrow is the same for me as the flash with the 'saving my city' and being a fun show to watch. Arrow has the more serious vibe to it. Basically the show tells the story of Oliver queen, a guy who has been stranded on an island for five years and came home changed forever. When he returns he becomes the Arrow - some kind of robin hood who preys on those who prey on the innocents. Slowly he starts to recruit teammates who will become his anchor and his friends. 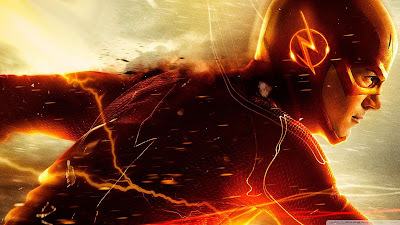 Like with the flash, I enjoy watching a couple episodes of this show every now and then. Oh and, If you plan on watching Arrow or The flash you might want to watch them both because they tend to intertwine from time to time. You don't have to - you'll still understand things without it - but it's more fun that way. It's one of my all times favourite. I'll forever ship Damon and Elena (the best couple ever!). I absolutely LOVE Damon. How could one not love him? Because no matter how much I love this show... No matter how much Damon & Elena time I want to see... sometimes you just know it needs to end. 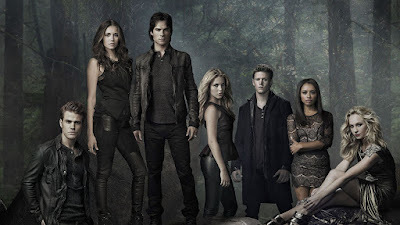 Their pretty much gigantic clue was Nina (the actress who plays Elena) leaving the show. When I heard she was leaving after season 6 and that they plan to continue on without her, I could not believe it. I was like: so... let me get this straight. You're going to do a season 7 (and possibly more seasons afterward) without the protagonist, the MC, the girl this story basically follows? that makes no sense. I wrote all my 'I'm freaking out here!' thoughts after season 6 finale, but this was before I opened a blog and it got deleted. So yeah... needless to say, I'm not a fan of the current situation on the show. I have half a mind to go find Nina and try to convince her to go back to the show. *sigh*. But I'll always love the vampire diaries (at least the first 6 seasons, mainly seasons 4-6) and I'm still following season 7 because... well, you can never know. Things can always turn for the better. Plus, the Vampire diaries has already been renewed for a season 8 so this show isn't going anywhere for the time being. I have to admit, I didn't read the books. It's one of those very (very) few times where I watched a show\a movie based on a book that I haven't read. The books didn't seem like my kind of read. I love Epicness and Complexity but the books seems too Epic, too complex. And too killing off main characters. I don't like getting attached to a character that is then randomly gets killed off. There is killing a character in a good way and then there is killing a character in the bad way. So when I started to watch the show I didn't think I would get very far with it. I found myself more invested in this then I thought I could. I had to look over ah... certain... aspects that are shown in the show... *ahm-ahm*. But once I looked over that, I saw a world, characters and stories that I liked. I couldn't help but root for some characters (and hope they didn't die soon). 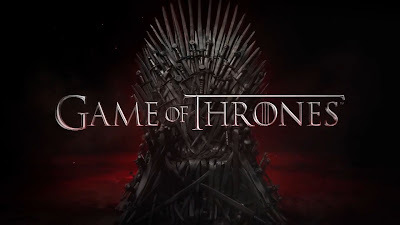 I'm really looking forward to the upcoming new season coming out this year, April 24. Daenerys, Arya, Jon, Tyrion - Keep fighting! I'm rooting for you. Love science fiction? this show is just the one for you. Don't love science fiction? even so, you should try this one out. I read science fiction (not as much as other genres though) but mostly the dystopian kind. I never got to read something that takes place in space. I never thought I was going to like it either. But Dark Matter really got me into the mood for science fiction. It was always hard for me to find a good science fiction movie\tv show\book. None of them were quite my thing. 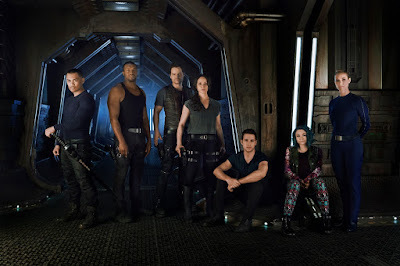 But then I watched dark matter and after that I've read the lunar chronicles (a great book series, let me tell you) and I got further into the science fiction universe. 6 people wake up on a spaceship with no idea whatsoever who they are. After a lot of confusion, they decide to call themselves by the numbers of 1-6 - 1 being the first to wake up and six being the one that woke up last. While going on dangerous missions, they are trying to figure out who they are and why they don't remember, all the while trying to pretend to the outside world that they know who they are. Their best course of action? stick together until they figure it out. The problem? how can you know who's telling the truth and who's lying? who has a dangerous past and who is going to get them all killed? Have they all lost their memories or is someone lying? 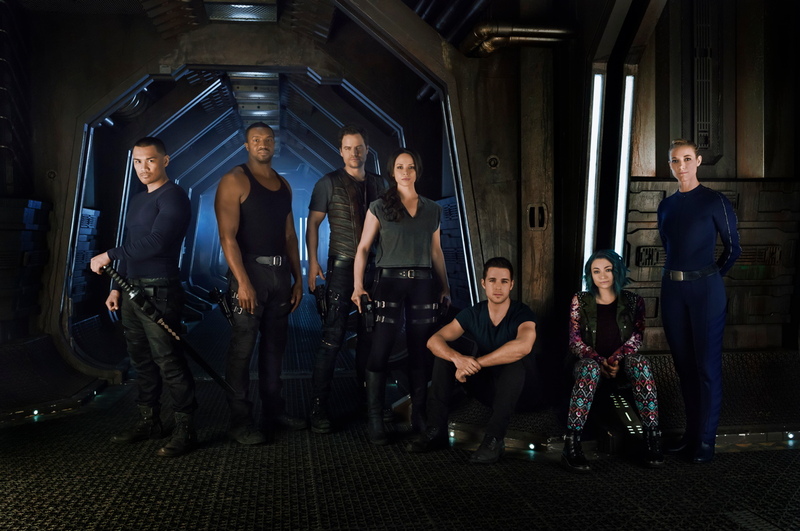 Dark Matter has been renewed for a season 2 to air sometime in 2016. 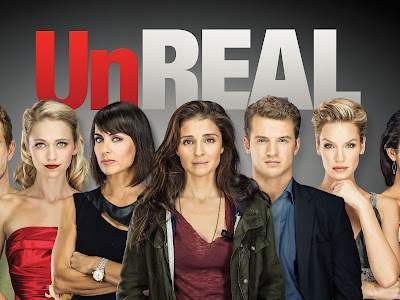 As the name suggest, this is a show about the Unreal. About reality shows. It's called 'reality' shows but we all know it's no really real. At least not entirely. The show follows a young TV producer - Rachel Goldberg. After a certain catastrophic incident on her part, she returns to a new season of the reality show everlasting. To make up for what she did the last time, she has to work hard to prove herself. And that means doing what she knows to do best: manipulate the contestants to create the outrageous drama the viewers of everlasting want. Not my usual style but sometimes I find interesting shows in things that aren't my usual style. 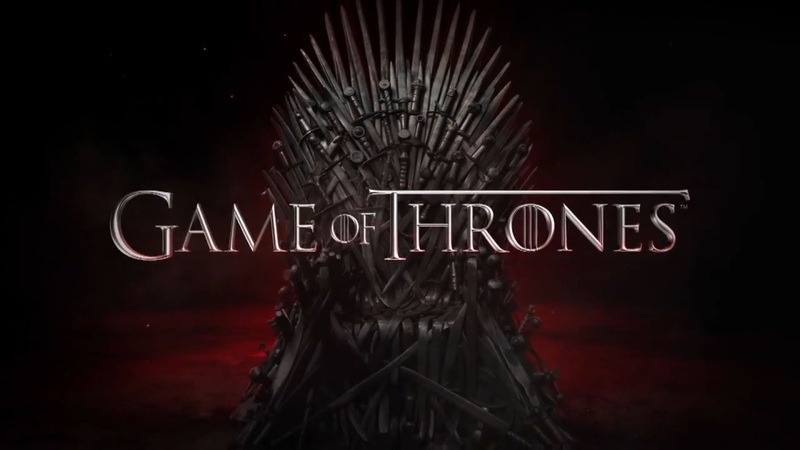 Season 2 will premiere in June 6, 2016. I'm very excited for it. I was extremely frustrated (to put it mildly) about the events season 3 took but I loved seasons 1 & 2 and I can't give up on the show just yet. 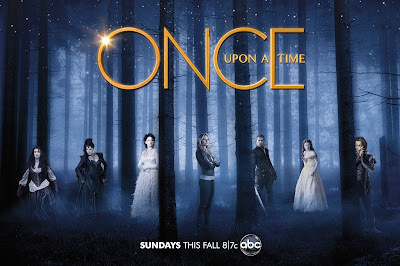 It has been renewed for a season 4 so there is always hope for things to improve. The 100 has a great plot, great cast of characters and a world full of danger at every corner. 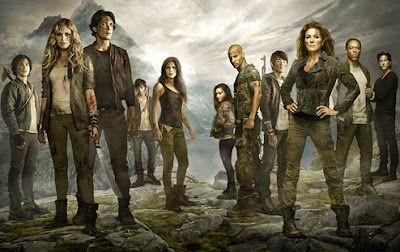 It is based on a trilogy called the 100 by the author Kass Morgan. I almost never watch a movie or a TV show that is based on a book without reading (or attempting to read) the book first but when I watched the 100 I didn't know it was based on a trilogy at the time. I'm really looking foreword to see how it goes in season 2. It's been renewed but there is no premiere date yet. Brilliant! Just brilliant! He's the best, by far, Sherlock I've ever seen. And doctor Watson too. I love their dynamics. I love the funny moments in this show (which there are are plenty of) and the awesome-OMG moments of Sherlock's Genius mind. I re-watched this series... oh, 5 times maybe. Amazing. Just amazing. It was so weird! Every time I saw him I was like - "doctor!" but he wasn't the doctor, he was extremely evil. Jessica Jones is another comic book comes to life. I always enjoy a good super-hero comic book adaption. It was a bit different than the others - darker, I would say. If you also love a good adaption of the super-heroes comics and haven't watched this one yet, you should give it a try. 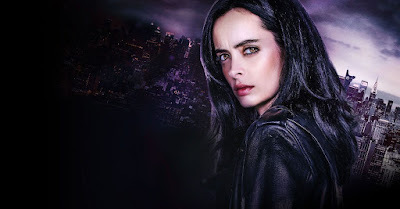 Jessica Jones has been renewed for a season 2 (no premiere date yet). I'm pretty sure you've heard of Doctor who, even if you haven't watched it. It's like Harry Potter or Sherlock Holmes - everyone knows about it. If, miraculously, you've managed to hear nothing about it... well, first of all, bravo (you've managed to shock me). 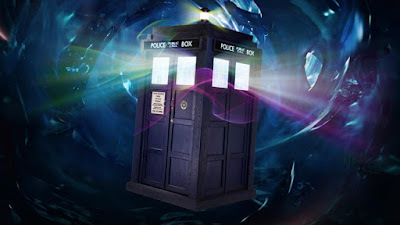 secondly: Time travel, The doctor, adventures throughout time and space, bigger on the inside... that's all you need to know. Now go watch it. But don't let that put you off because this show is fantastic. brilliant. magnificent. If you haven't watched it yet, you really-really do have to watch it. Doctor who has been renewed for a 10th season with no release date yet. it would seem, though, to be leaning towards 2017. which I'm EXTREMELY upset about if it'll turn out to be true because... well, because it's just too far away! I need the next season right now! It's been a while since I got to watch a high fantasy show. It was a very enjoyable show. I don't have a full opinion formed on The Shannara Chronicles yet and there are still no news of a renewal for a season 2. 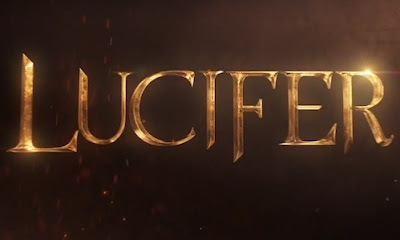 I do hope there will be one, because this show has a lot of potential and the first season was a good one. It takes place many-many-many years after the human world (our world) has been destroyed. the world is divided to races (elfs, humans and such...). The story follows an half elf named Will, an elf princess named Amberle and a human girl named Eretria. The show follows a young boy with a powerful and dangerous gift and a man who finds himself acting as the boy's mentor. A very engaging show. I'm looking forward to season 2 (coming out sometime in 2017). Merlin is just... it's amazing. It's just SO GOOD. It's an epic show. truly. Sorry, I'm not making much sense. I always get so excited when I watch this show or merely even talk about it. If you haven't watched it and you love fantasy and adventure and legend - WATCH IT. you won't regret it. At all. 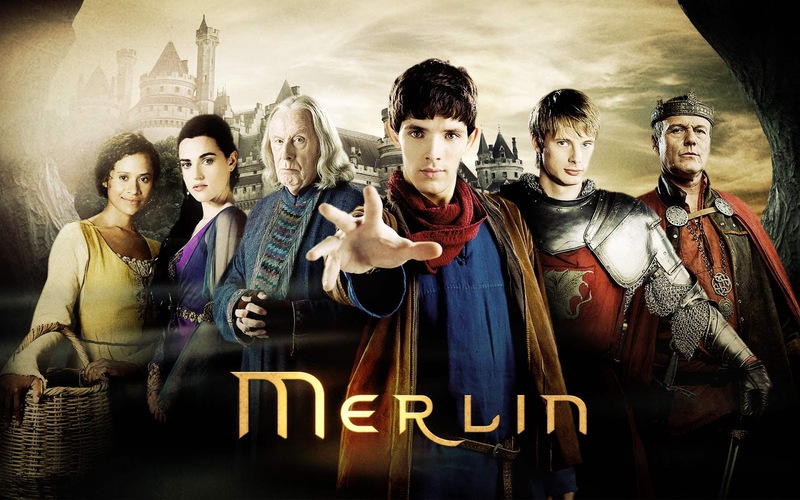 Merlin has 5 seasons. It wasn't canceled or anything so don't worry about it. It was just over after 5 seasons. One of my top favourite shows. The best action\spy\romance I've seen. It's such a good show. I can't reveal much more away because it's best to figure things out as you go along. 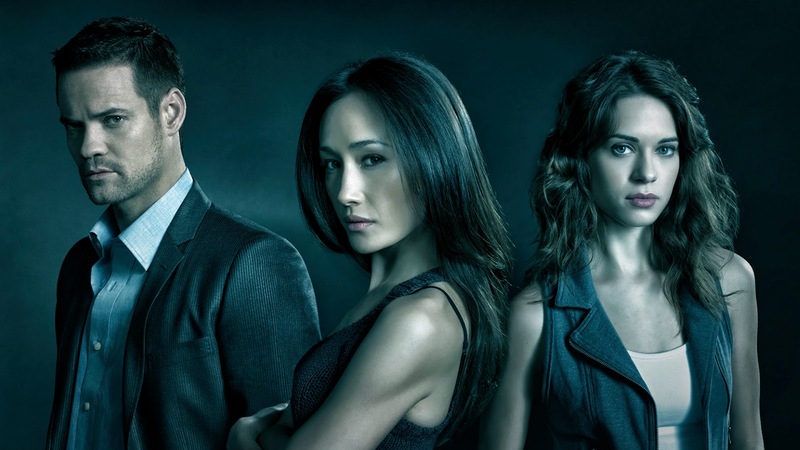 Nikita has 4 seasons (hasn't been canceled so don't worry about a cliff-hanger). My next post 'My favourite anime' is coming out soon.